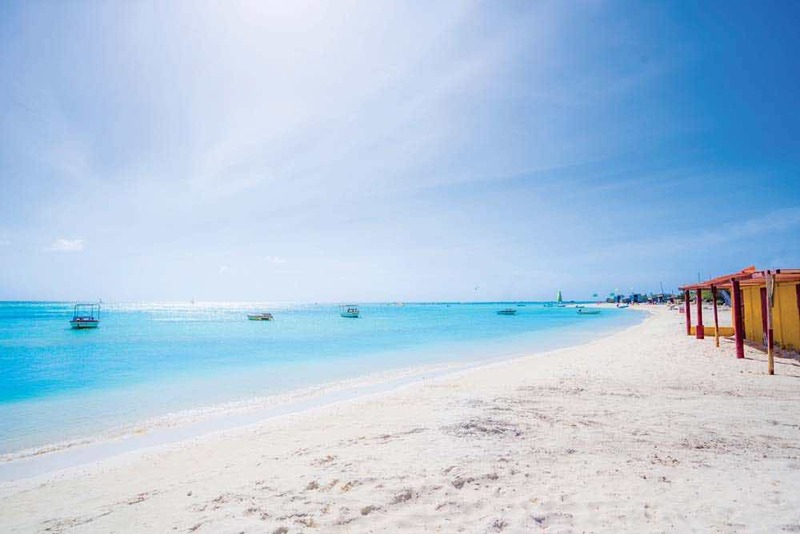 With year-round sunshine, stunning scenery and adventures to be had, it’s no wonder Aruba has been dubbed ‘One Happy Island.’ This island should be at the top of everyone’s vacation list – here’s 6 reasons to visit the Caribbean’s ‘One Happy Island’! 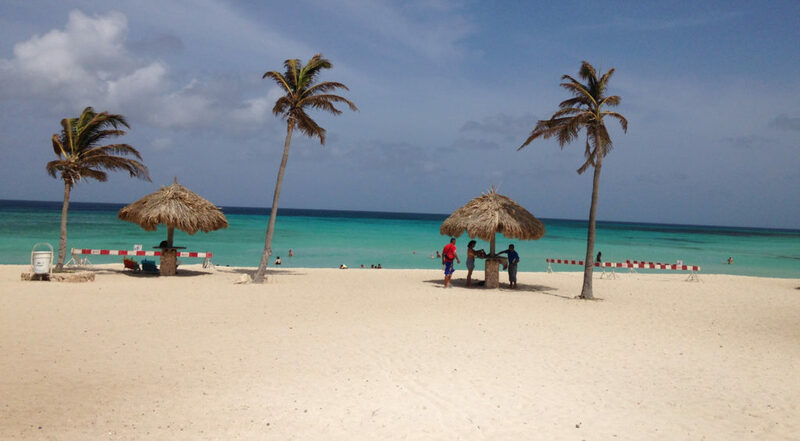 Situated below the hurricane belt, Aruba is well loved for its awesome weather. The average annual temperature is about 82 degrees Fahrenheit, but constant cooling trade winds make even the hottest days comfortable. It’s also drier than the Sahara – well almost! The island consistently receives the least amount of rainfall in the Caribbean, a mere 15 inches of rain a year, making sunny days almost a sure thing! Some of the best Caribbean wrecks are dotted around the coast of Aruba – the Antilla wreck and SS Pedernales wreck being two of the most popular. Known as the “ghost ship,” the Antilla is a 400-foot-long German freighter built in 1939, used by the Germans to supply their subs during World War II. Scuttled in 1945 to prevent Dutch marines from seizing it, it now rests on its port side only 500 yards offshore and 60 feet below the surface, illuminated at night by fluorescing cup-corals. The Antilla is the largest wreck in the Caribbean. 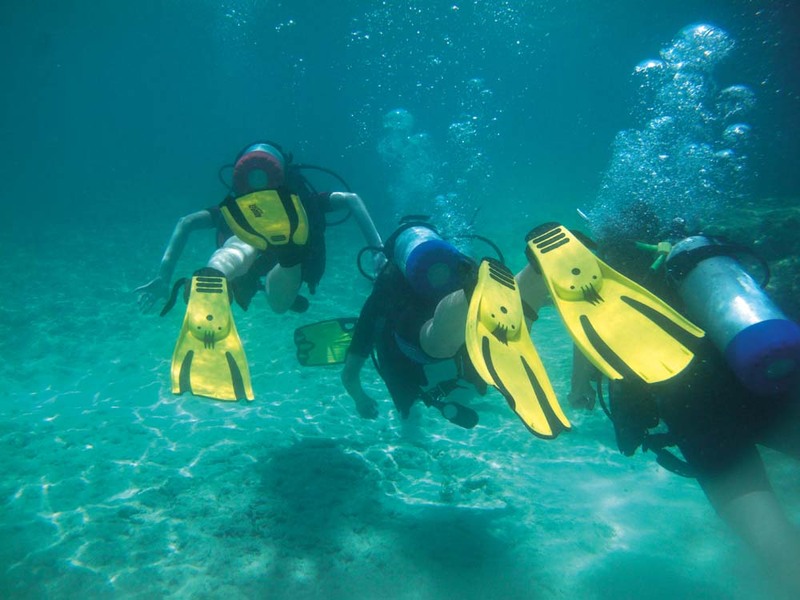 Divers can explore its compartments, anchors, cargo holds and boiler rooms. 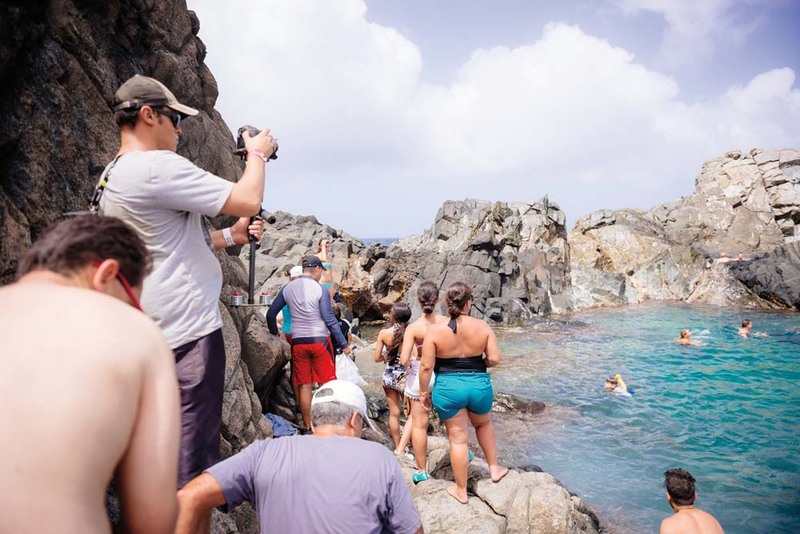 A well-kept secret dive spot, the SS Pedernales was a World War II ship that was torpedoed and sunk by a German U-boat en route to a refinery in Aruba. The center portion of the vessel remains submerged off the shore of Palm Beach, approximately 25 feet below sea level. 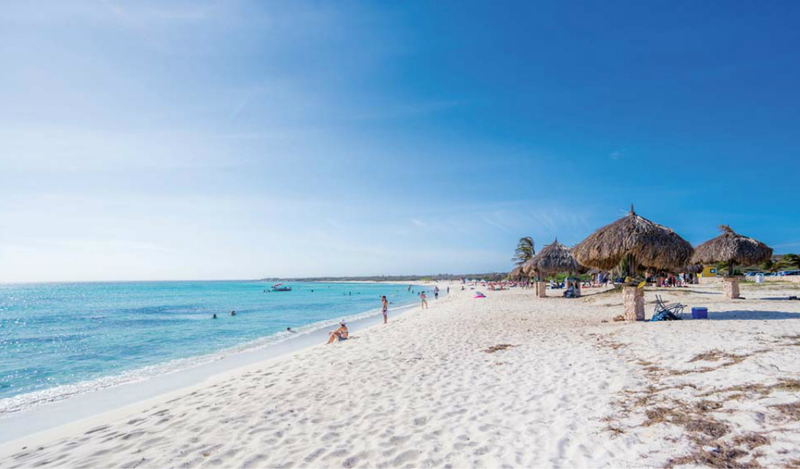 From action-packed sands, to serene stretches and secluded coves, each of Aruba’s alabaster world-renowned beaches has its own unique signature. Much of the seven-mile strip along the west coast is lined with resorts and sun worshippers. In contrast, the wind-whipped beaches on the northeast coast have no amenities but they do offer tranquility, privacy and magnificent natural phenomena. 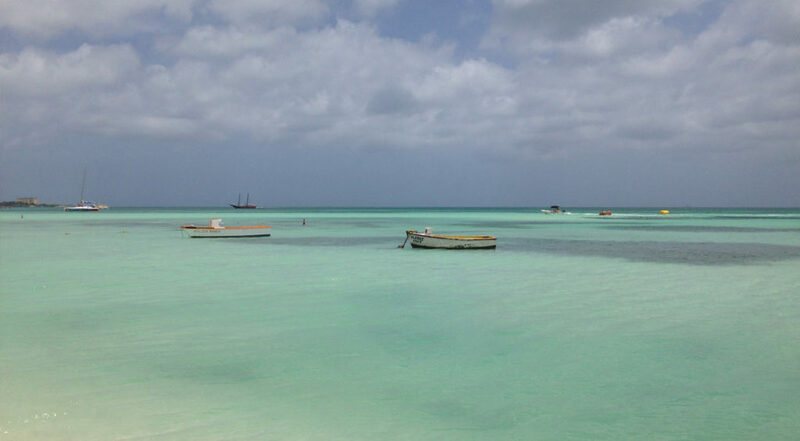 What’s more, the unique crushed coral and shell composition of Aruba’s fine, powdery white beaches keeps the sand comfortably cool, even during the hours when the sun is at its highest. Covering almost one-fifth of the island, Arikok National Park features 7,907 acres of wildlife, underground caves, natural pools, and secluded beaches. Go forth and explore! 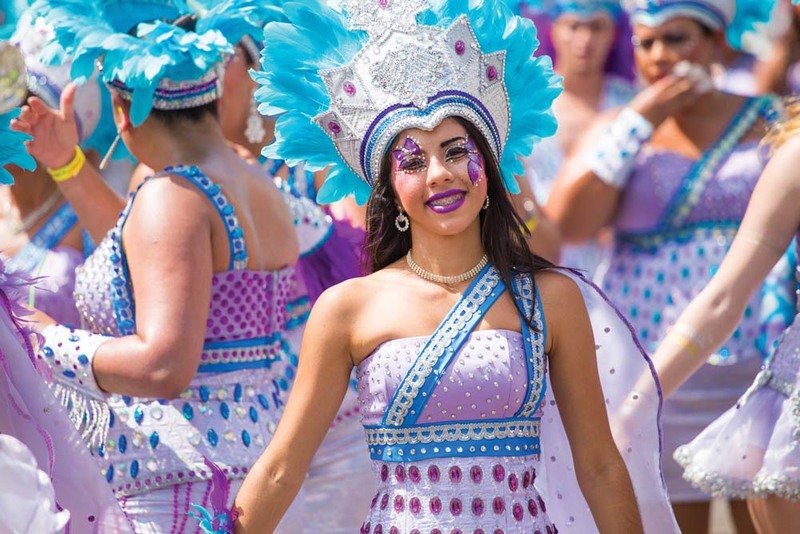 The annual month-long celebrations are some of the most exciting events to take place on Aruba, transforming the island into a whirlwind of color and music. 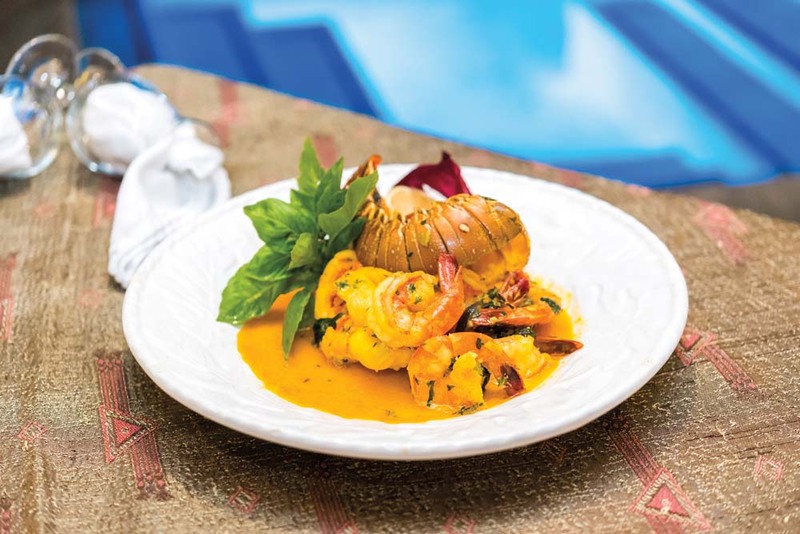 Aruba’s cuisine is an eclectic, flavorful and aromatic tapestry of taste. Choose from Brazilian, Argentinian and American steakhouses, Italian trattorias, seafood houses with specialties from Caribbean or international waters, sushi bars and teppanyaki grills, al fresco toes in the sand dining and Dutch cafes. Try it all!